At the Volunteer Center, we believe in the difference one person can make. We believe in kindness, empathy and compassion. We believe that together we can change the world, starting with our own community. Recognizing the value of empathy and service to others, the Volunteer Center has been "at the heart of helping" for more than 50 years, referring thousands of volunteers to both traditional and court-referred service opportunities. 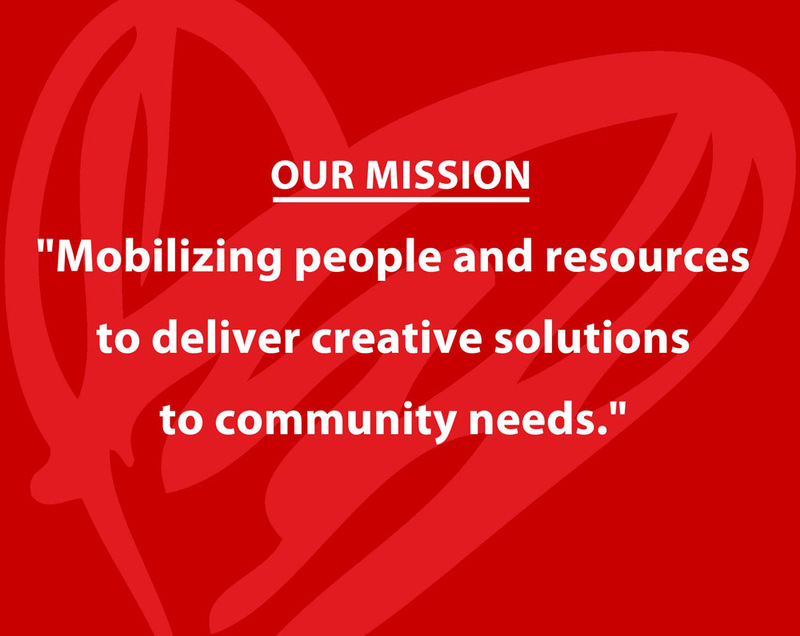 The heart of our mission - "mobilizing people and resources to deliver creative solutions to community needs" - lies in knowing the most urgent needs facing our community. We learn these needs by regularly listening to the members of our community. When we discover that a critical community need is going unmet, we lead the way by assembling a team of caring, talented volunteers to create a signature program, such as Operation Teddy Bear or Food For Kids, offering members of our community the opportunity to contribute to the solution. We love that moment when community members join together and give their precious time to a worthy cause, and our partnerships within the community allow us to have an even further reach. Whether it's families, teens, seniors, professionals or court-referred volunteers, we serve EVERY member of our community. That is what has kept us "...at the heart of helping" for more than 50 years! For 29 years, former President/CEO De De Hicks served at the heart of this community, with her finger on the pulse of what donors and families needed most. Upon her retirement in 2015, the Board of Directors hired Sara Myers as the new President/CEO and together, she and the board embarked on a multi-year strategic planning process to determine how the Volunteer Center could best serve the community now and in the future. We spoke to community leaders with a strong understanding of the most pressing needs in the area. We combed through data from our local hospitals, partner nonprofits and county agencies. Most of all, we listened to you. We asked what worries you, what you're struggling with and what affects your family's well-being the most. What we heard again and again is that our community is facing a social and emotional health crisis, especially our children. Our youth are facing unprecedented increases in stress, anxiety, depression and thoughts of suicide, sometimes in children as young as five years old. It has become clear that this problem is personally affecting all of us and our family members without regard for income, location or skin color. We heard the call for help and moved swiftly into action. We intensely researched the issue, interviewing community leaders, mental health experts, medical staff, members of law enforcement, educators, parents, and today's youth to understand and document the need, what programs currently exist, and what gaps we still need to fill. We are working to identify the heart of the problem, and we are bringing a team of experts together who have volunteered to help us figure out the most creative and effective response in the form of innovative new programs and services. We look forward to sharing more of this story as it unfolds, but in the meantime, we are so grateful to have the opportunity to be "at the heart of helping" our community with this critical need. We are looking for teens, parents and mental health professionals to serve on various committees and focus groups. If you are interested in volunteering, please email Sara Myers. Just like it says in our name, our service area consists of the South Bay, Harbor and Long Beach areas. We also serve 44 cities through our Court Referral Community Service Program, stretching north to Santa Monica and Beverly Hills and south to Long Beach and Bellflower. The Volunteer Center is a 501(c)(3) nonprofit organization funded through program fees, grants, fundraisers and donations from you, our generous community of supporters. Click here to learn how you can make a gift that makes a difference in the community.